After reading “The Green Dragoon” and reviewing it I decided to round out my Tarleton’s legions green dragoons. 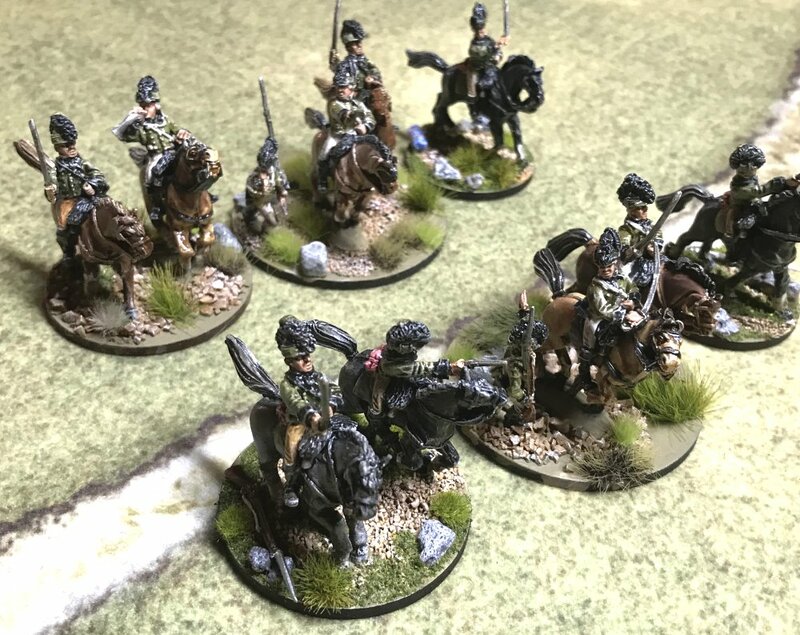 I had one unit of 6 green dragoons and a few stray mounted figures. 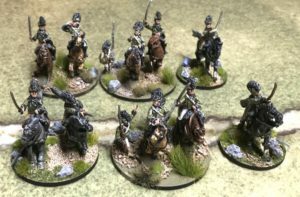 I didn’t want to buy a pack of dragoons for just a few miniatures so I took a tip from Pikeman’s Lament. 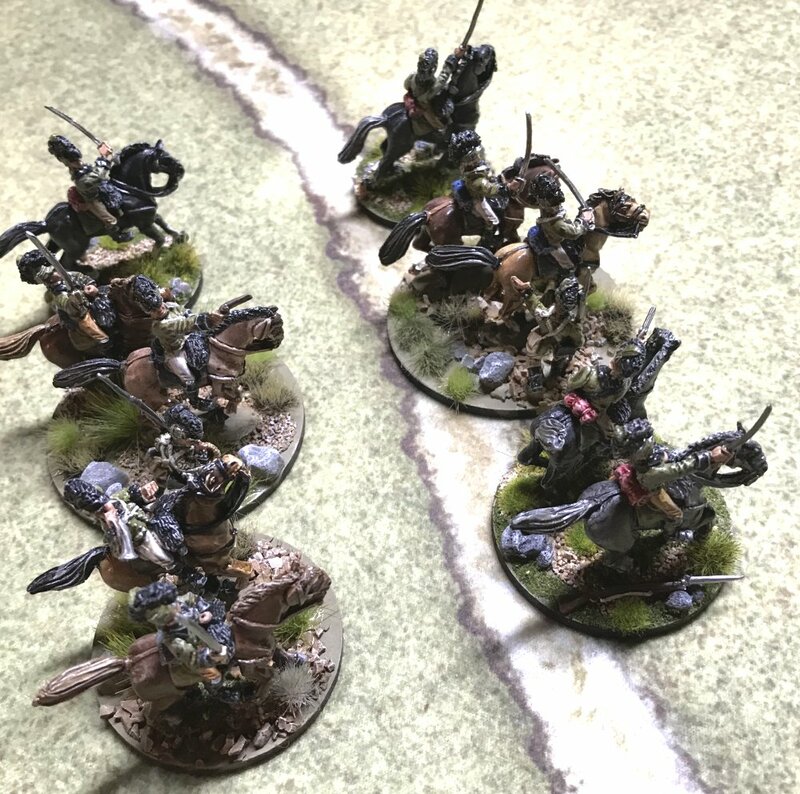 Some of the players with that game include dismounted troops on their dragoon bases. I had a good assortment of legion infantry left so I did just that. Up until a year ago I always painted my bases a medium green that I had mixed at the Depot. I used this paint for my table top so it gave my game a very consistent look. Recently though I have deviated from that and come up with my own procedure for terraining my bases. You can see my procedure on my previous post on the Norman Knights and Tarleton here.